Continuing on the theme of the Canadian connection in the transit agencies of Georgia and the Carolina. Charleston Area RTA (CARTA) in Charleston County, SC is the most dyed-in-the-wool New Flyer fan outside MARTA and Cobb Community Transit in the Atlanta metro. In fact, they have the last New Flyer high floor buses still active with an original US agency and probably the last New Flyer HF's ever built. But first, I'll introduce CARTA's other bus types. Bus 1413 is one of a bunch of ex-Golden Gate Transit Flixible Metro's dedicated solely to CARTA's express services. They are very likely the last Flixible buses still active with an Southeastern US transit agency (excluding private shuttles). 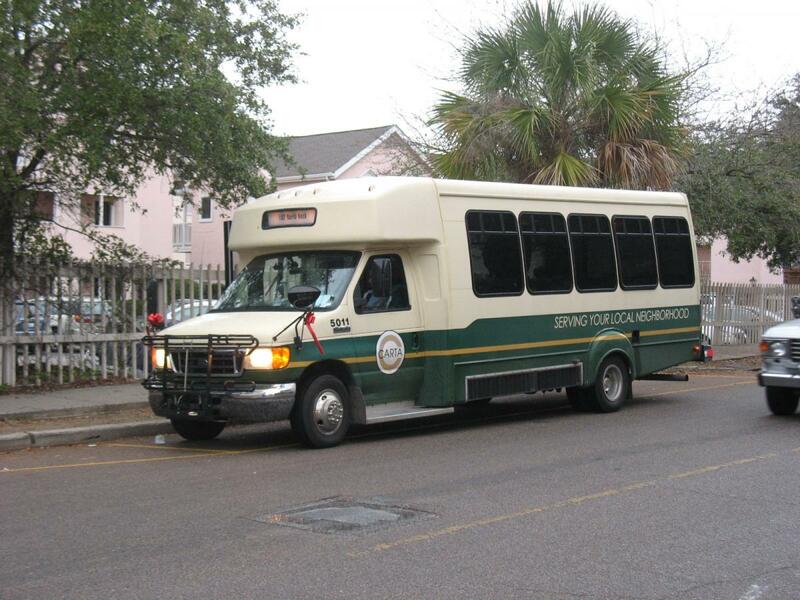 They also have some 5000 series Ford cutaways for secondary routes as shown by bus 5011, chiefly in North Charleston, but also one within Charleston. 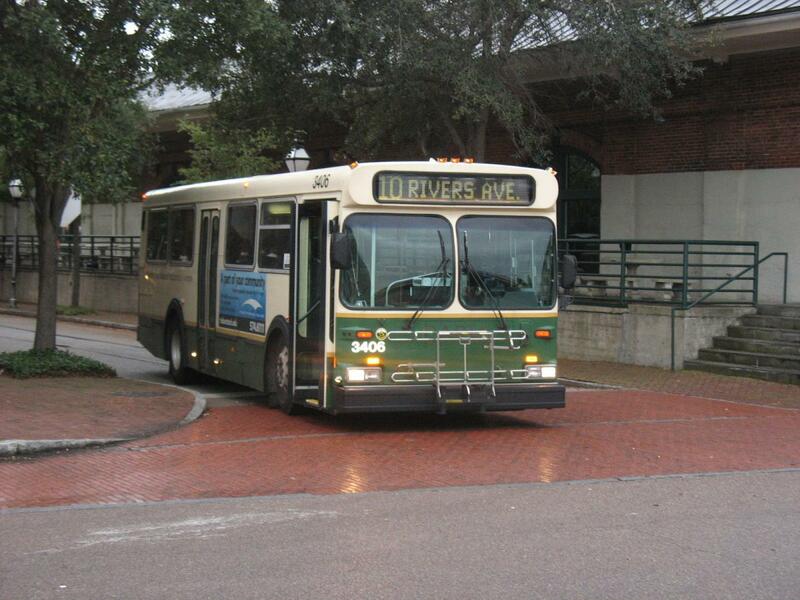 (They have eliminated two similar routes in the Mount Pleasant area recently and merged another route based at the Citadel Mall with a route utilizing regular buses). 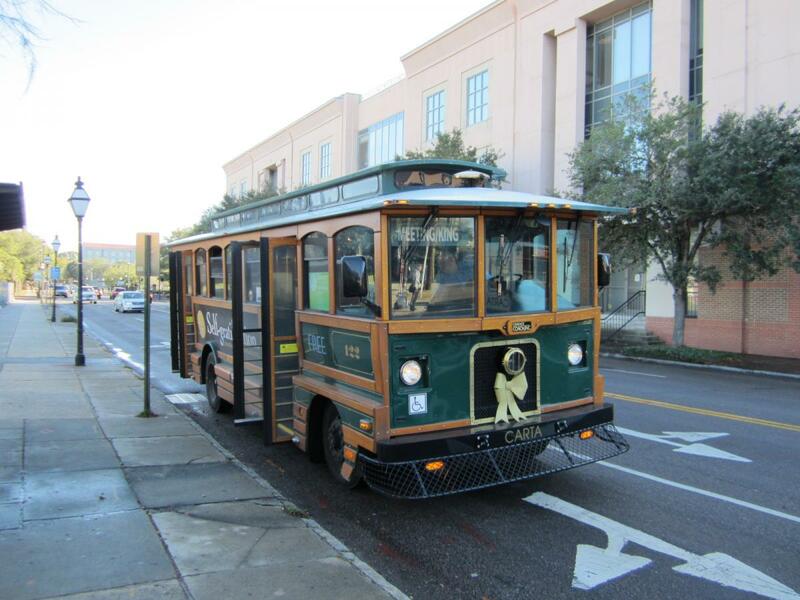 Being a tourism-heavy city, CARTA has a long-standing tradition of running trolley replicas as tourist shuttles, as shown by trolley 122. 35ft. New Flyers are, however, the mainstay of CARTA's fleet. 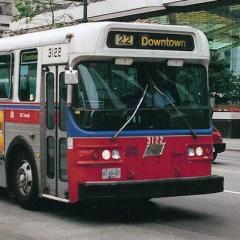 Buses 3405 and 3406 represent the D35HF's, while buses 3505 and 3508 represents the D35LFR's. 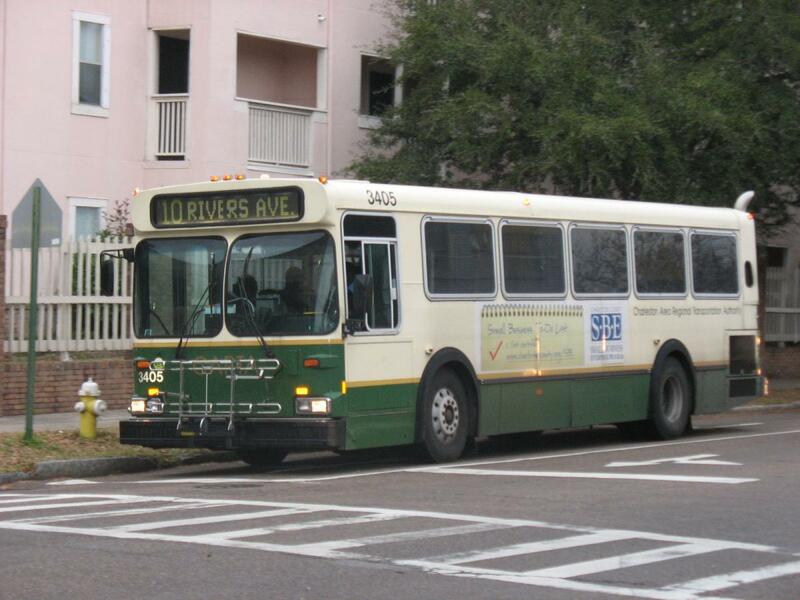 The latest situation I heard was that they have received a few more D35LFR's with a revised design similar to CMRTA (Columbia, SC)'s buses, and the D35HF's are slowly on their way out. All pictures were taken on December 2011 at the downtown area except 3508, which was taken at the Citadel Mall. Hope you'll enjoy my pictures in the CARTA (Charleston) gallery. Thanks! Very neat. The D35HF is powered by Series 50, possible Allison B400R. I did see several of the newer D35LFR's last July with the revised front design - 3513 was the highest-numbered bus I spotted. The D35HF's were still out in force, as were the Flxible Metros on the express routes. Buzz2kb, you are the CPTDB member of the month! It appears they have now received some New Flyer Xcelsior 40 foot buses numbered in the 4000's.. Does anyone know how many are in this batch? I also do not know if these are XDE40's or just XD40's as they do have the full length roofline. Any help is appreciated. 2 both are ex Hybrid demos as seen from google maps and confirmed in an email from the GM of CARTA. Nice find! The green one might be the BAE hybrid XDE40 that was Altoona tested. Okay thanks. Is the wrapped one numbered 4001 for Charleston by chance? Also what year are these two units? I spent a morning last week in Charleston and got some photos of CARTA. Fleet wise they appear to be about the same as Buzz reported in 2013. There were still many D35 and Metro D to be spotted during the peak period. A couple of the local routes were operated with cutaways, but mostly D35LFR and D35. I did not see any XDE40 units. The 4 NASH Express had a D35LFR on it despite being advertised as 100% hybrid. I did not venture to the north region to see the 105 route or routes that only operate out of the superstop, so perhaps there were XDE40 operating or perhaps a couple of new units in that area. 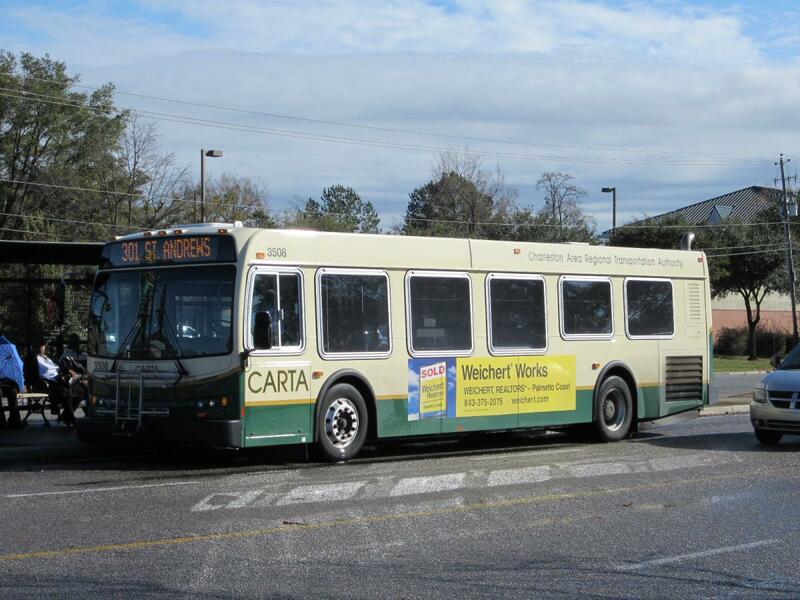 http://www.ridecarta.com/news-info/announcements/bus-grant could this spell the end of CARTA's 1994 Flexibles? Yes it will, but they are still in service for now until CARTA can tender and award a bid and the manufacturer can deliver. Probably late 2017-early 2018 at this point. Several of CARTA's retired Flxibles are/were up for auction on Govdeals. As one might expect, bids were a bit higher than the usual used transit bus. 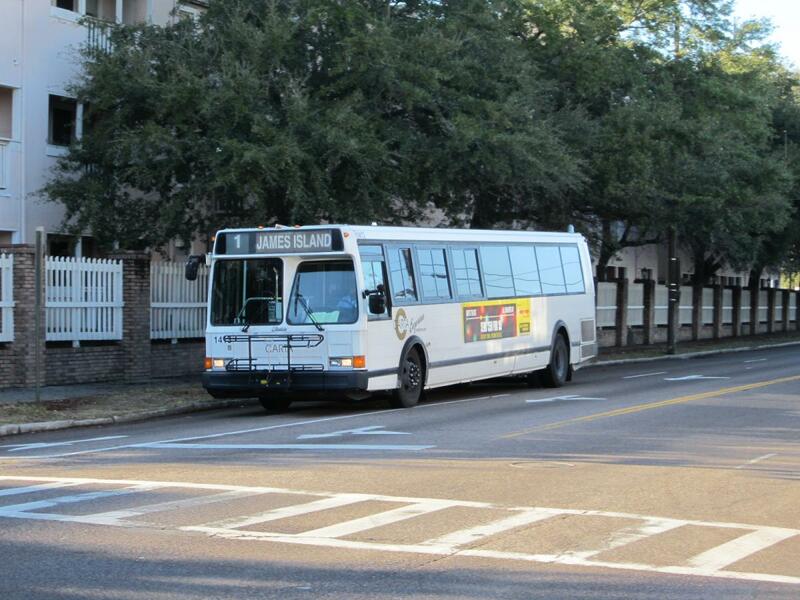 New MiDi buses in Charleston! Mayor says they have one of the oldest transit fleets but that is changing! "The DASH shuttles, built in Minnesota, are green like the trolleys, but that's where the similarities end. The 30-foot-long NewFlyer MiDis look much more modern, with padded seats and larger windows. They also are 6 inches narrower (only 8 feet wide), helping their drivers navigate their three routes through the city's narrow streets. Each shuttle cost $335,000 and can hold 53 riders. 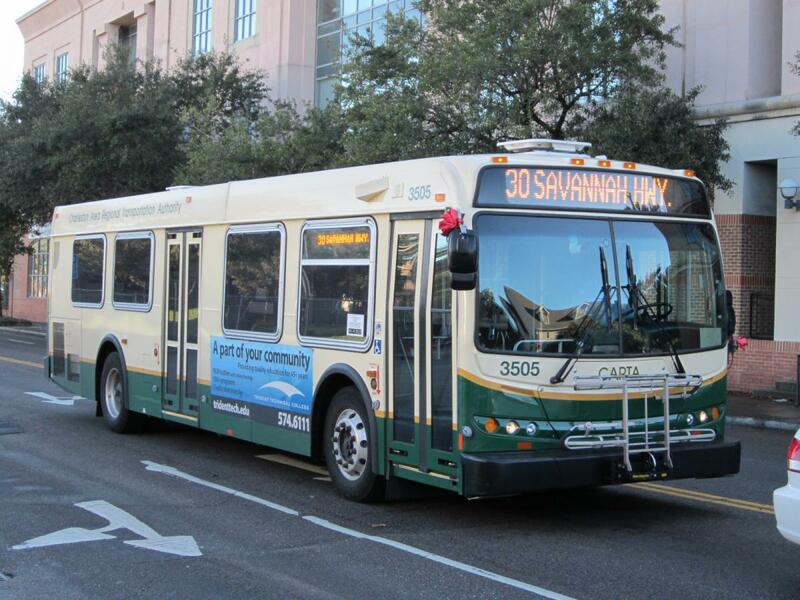 . ."
Its "just a taste of the upgrades that CARTA hopes to put in place over the next few years, most of which will be made possible by Charleston County voters' decision last month to approve a new half-cent transportation sales tax. About $600 million of the $2.1 billion raised is expected to go to improving transit, including the creation of a bus rapid transit line from Summerville to Charleston. 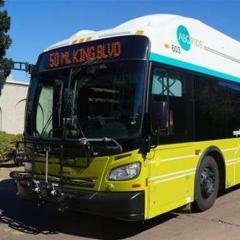 CARTA's other goals are to replace its aging, regular bus fleet, add more trolleys and convert the fleet from gasoline to compressed natural gas." Great for CARTA! Any other bus orders for them have been announced? I don't think so, other than the commuter buses you brought up in September. No word on what they will be. Do you know how many were ordered? 7 MD30s. And its bye bye to the diesel "trolleys". "Nostalgiamobiles" one on-line article called them. 17 years old. Does anyone know when CARTA plans on retiring the Flxibles and D35HFs? Yeah since that post the Gillig suburbans have arrived. Sad to see the old stuff go but im glad they did get funding for new stuff. I may post a few more notes/thoughts/observations tonight if I see fit. Most of what I mentioned has already been edited into the wiki so have a look at that if you wish. That said, the active roster for the Flxible fleet is out of date; that's what the fleet looked like before the Gilligs arrived (And I'm inclined to believe that the D35HF active roster has changed slightly too). I have no idea exactly which ones are remaining. FWIW 1403, 1427, 1433, 1439 all ran this morning. If anyone has an accurate, official CARTA roster, please let me know or edit it into the wiki. Thanks!